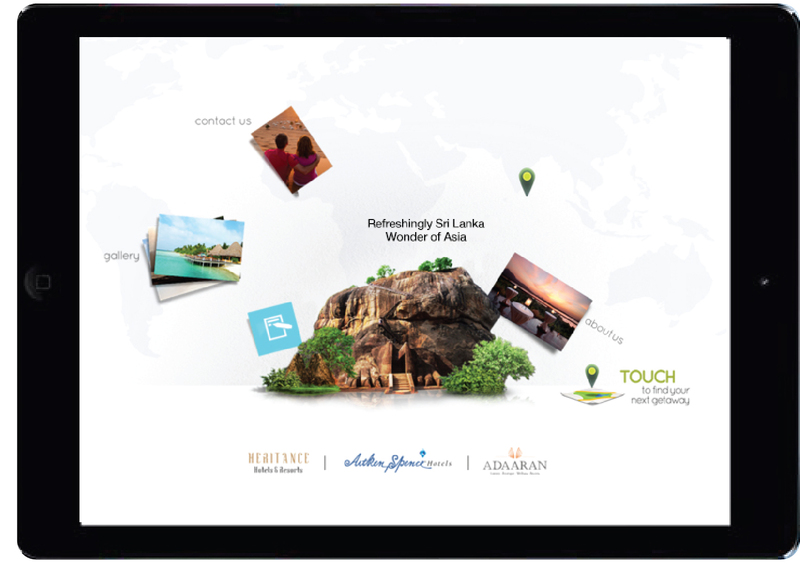 Aitken Spence Hotels broke new ground recently with the launch of its first digital application for iPads. The application was designed to provide a comprehensive snapshot of the Aitken Spence Hotels portfolio spread across four diverse destinations; and covers the fundamental facets used by guests to decide on their preferred hotel or resort. A holistic integration of the information of 21 hotels is presented in an interactive seamless platform enabling ease of navigation for the user. The app provides a brief description of each hotel affording guests a glimpse to the roots of the property. The types of accommodation that can be enjoyed by guests are also listed with pictorial representations of the room and its amenities. Information on hotel facilities, dining options, event spaces and excursions can be accessed at the tip of a finger. The information is complimented by an extensive gallery complimenting the sensory journey one engages with when browsing the app. It also provides a unified platform for feedback and reservation inquiries creating easy interaction between Aitken Spence Hotels and potential guests. “The digital revolution has created a fundamental need for businesses to evolve their practices. The launch of an iPad app for Aitken Spence Hotels is one of the many initiatives lined up to evolve our practices to offer our guests an engaging and seamless experience The app is the perfect tool to create brand awareness amongst tour operators, destination management companies and tourists from around the world. We plan to evolve the services that can be offered through the app creating ease of access to the modern traveler” says Mr. Althaf Mohamed Ali, Vice President, Sales and Marketing, Aitken Spence Hotels.